At the top of Chaoyanglou Builing in the Old Town of Jianshui hang four boards inscribed with four Chinese characters standing for “floating clouds” by Zhang Xu, a distinguished calligrapher in the Tang Dynasty (618-907). 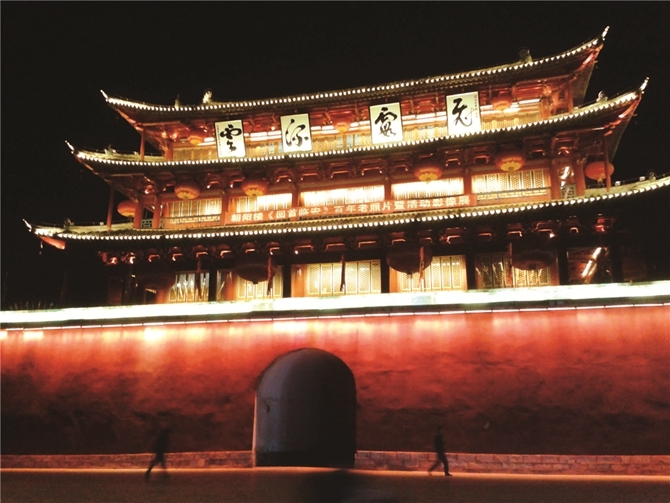 Engraved on the wood boards, the cursive characters look majestic and grand in every stroke, thanks to the efforts of the plaque maker — a local artist named Liu Fengxiang. In 1903, 36-year-old Liu Fengxiang was entrusted by Wang Chuishu, a calligrapher from Jianshui, to inscribe Zhang Xu’s four cursive characters. And Liu spared no efforts just like he did with other plaques and carved and painted it based on his 20-years’ experience. At that time, he might not have imagined that the four plaques would be preserved for over 100 years and appreciated by the later generations. 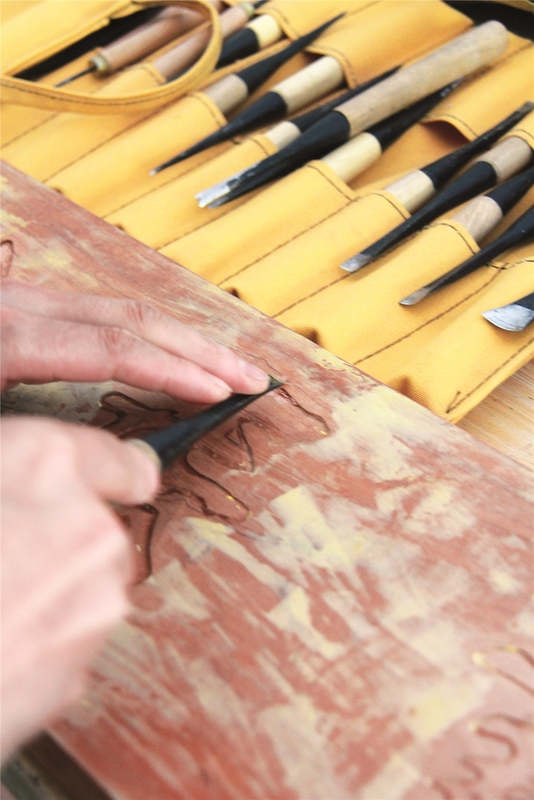 Liu Fengxiang is the grandfather of Liu Wenhui who has closely bonded with carving. When he was 10 years old, Liu Wenhui went to Gejiu to make seals. “We did seal engraving in Yunxi Company. The company has a lot of staff. Each of them needs a seal upon their salary collection.” As engraving and inscription involve many common skills, what he had learned in making seals increased his control over the styles of Chinese characters. In 1967, Liu came back to Jianshui to start his career as a carpenter, dedicating himself to “chest making and house building” as well as board inscription. To make inscriptions perfect, Liu has adhered to the practice of calligraphy for decades. Plaque making starts from wood treatment. As the carpenter treats wood merely by hand, tools are piling up in Liu’s house. “We don’t use any machines,” Liu said. A good plaque artist is also a skilful lacquerer whose paint features primitive simplicity. Before painting, Liu has to polish the wood board to ensure it is smooth and then dry the board coated with primer, all of which are usually repeated seven times.